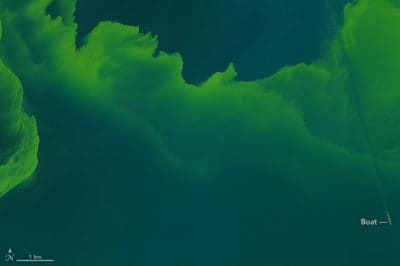 Large phytoplankton bloom in western Lake Erie. Source: Landsat 8, acquired September 26, 2017, NASA. This Landsat 8 satellite image captures a huge bloom that has been occurring in Lake Erie since mid-July, 2017.